MIET has surrendered all its management seats to the state Government. However there is direct entry against dropouts and vacant seats, for which registration starts from 1st May. State Govt. has also permitted 20% of total sanctioned seats available in all affiliated Private Institutions only to be filled by JEE-MAINS-2013 merit out of which 10% seats will be filled through U.P. domicile candidates on U.P. State merit using state reservation policy, and the remaining of 10% seats will be filled through All India merit candidates without reservation. 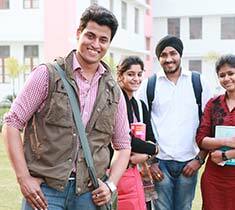 Admission to UG courses (B.Tech./ B.Pharma.) is through state counseling, where as direct admissions are confirmed on the basis of (10+ 2) merit and UPSEE/ JEE(Mains) merit. 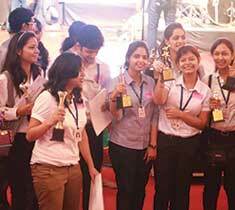 Admission to PG courses (MBA/MCA/MCA (2nd Year Direct)/ M.Tech./ M.Pharma.) is also though state counseling, where as for direct admission percentage in graduation is considered. Student having valid score in GATE/GPAT will get the scholarship as per Government norms. Student seeking admission has to fill Admission form along with documents needed before and on date specified by state counseling or on institute website. Students seeking education loan from bank may download Fee structure from the website or may get issued from the institute to submit in the bank. Students have to apply for educational loan only with the banks of their choice and have to fulfill bank requirements as per bank’s norms. 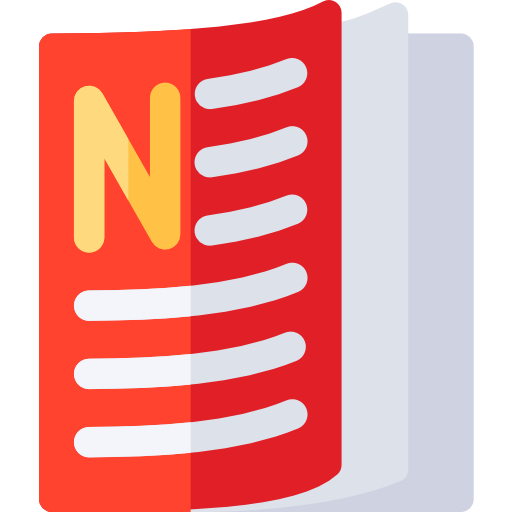 Original Migration Certificate (for CBSE /ICSE / Other than U.P. Board / Univ. Income certificate from tehsil with verification on the website. Recent Passport Size Photograph – 4 Nos. Students are expected to read notices/circulars displayed on the college notice board. Ignorance of not reading any notice/circular displayed shall not be accepted as an excuse for failing to comply with the directions contained in it. Inform the college of any changes in personal details or address. Students shall behave with dignity and courtesy inside and outside the college. Students shall observe strict modesty in dress. Boys can wear formal dress (Trousers & Shirt),Jeans and Shirt. Girls can wear Salwar-Suit, Jeans and Shirt or Kurta. Both boys and girls must not wear T-shirt and tight fit wears. For girls without sleeve shirt and T-shirt, Tight fit laggies and other wears are strictly banned. Students should wear identity cards inside the campus and also when attending any meetings outside the campus. I-Cards are to be worn round the neck and this drill is compulsory. Any violation of these orders will lead to disciplinary action. Possession of mobile phones during the college hours in the campus is strictly prohibited. Anybody found with a mobile, a fine of Rs.5000/- and deduction of marks from general proficiency will be imposed. Girl students are not allowed to leave the institute premises during the institute timings. If a girl student wants to leave the institute for some valid reasons before the closing of institute timing she has to follow SOP- ADMIN S11: Gate Pass for Girl Students. Students shall not entertain visitors without prior permission in the campus. Spitting, smoking and throwing bits of paper inside the institute campus are harmful and must be avoided. Refrain from possessing, consuming or distributing alcohol, harmful drugs, narcotics, ghutkas, chewing gums and smoking cigarettes. Any violation of these orders will lead to disciplinary action. Do not possess firecrackers of any kind in the hostel and college campus. Do not smear colored powder and splash color water in the guise of festivals and functions on or during any other occasion in the hostel or college campus. Do not scribble on the desks or the black board or on the walls of the college and hostel. Students are forbidden from entering the institute office during unspecified hours. Students are advised not to harm the reputation of the institute or individual (fellow students and institute staff) through social and electronic media. Respect the institute property. Destroying or damaging the institute property is punishable. Students should not destroy/ damage/ deface, remove the institute property, disturb or injure a person under the pretext of celebrating/inducting/pledging or for any other reason like rivalry etc. The cost of any damage so caused will be recovered from the students collectively if the responsibility for it cannot be fixed on any individual or group of individuals. It is unlawful for any person to mutilate any tree, shrub, or herbaceous plant or remove any identification sign or tag attached to it. Students are not allowed to convene any kind of meeting in the campus or any sort of fund collected without the permission of the HOD/ Director or to circulate/display any kind of notice among students or on black boards or on notice board without the written permission of the HOD/ Director. No information or report should be sent to press or board-casting agencies and placement companies without the permission and approval of the HOD/ Director. Do not be a part of any union or group or organization. Any move to form unions or groups of any type unauthorized by the Management and the Director is an offense. Students are strictly forbidden from engaging themselves in any political or other activities. Gathering in groups at roads, entrance, exit, pathways, gardens etc, is strictly prohibited. Students shall not indulge in any kind of misdemeanor bringing opprobrium to the institution. All vehicles should be parked in the allotted place. No vehicle will be allowed to enter the institute premises during the institute timings. Students coming by two wheelers have to compulsorily wear Helmet. Two wheelers will not be parked without Helmet. Vehicles found parked in unauthorized places shall be impounded. Students who want to avail bus facility in between the session will have to pay full bus fee for the session. Students who are not availing the bus facility but caught traveling in bus will be charged with full bus fee as fine. While attending college functions, the students will conduct themselves in such a way as to bring recognition to themselves and to the institution. Institute Bus facility is available to the students of Meerut and adjoining areas (Muzzafarnagar, Ghaziabad, Sardhana, Modinagar). Students have to deposit the bus fee at the account counter and fill up a form available in the registrar office with the copy of bus fee receipt at the starting of the session ( or at the time of admission or registration). There is no provision to pay bus fee in installments. The students who want to avail bus facility in between the session will have to pay full bus fee. 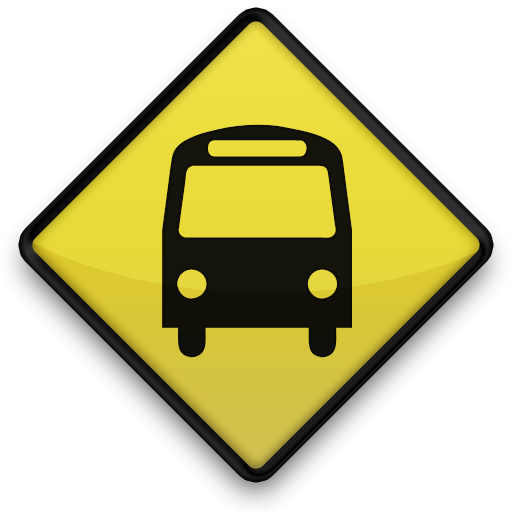 Students are required to obtain bus pass after depositing fees from main office. Students who are not availing the bus facility but caught travelling in bus will be charged with full bus fee as fine. The bus users have to use the bus route number which is allotted to them by the bus in-charge; they cannot change or use bus by their own choice. To change the pickup or drop point, bus users have to take permission from transport in-charge. Girl student using institute bus cannot leave institute by their own conveyance; they have to take leave permission from the respective department followed by transport in-charge. Bus facility is provided to the student for regular institute schedule or to the examination center for main exam. No bus facility will be provided for carry over papers. Students seeking admission at MIET have to deposit full Institute Fee on or before the due date as given by state counseling agency or dates available on institute website. Fee can be deposited through cash or Demand Draft in favour of Meerut Institute of Engineering and Technology payable at Meerut. From second year onward students have to deposit full institute fee before the date of registration or as circulated through institute notice. They can deposit fee through cash or demand draft in favour of Meerut Institute of Engineering and Technology payable at Meerut or directly in institute account via account No.-2159000100049043 and IFS Code –PUNB0215900. The student depositing fee directly in institute account, have to submit bank slip or other details to get institute fee receipt. Students seeking for bus facility have to deposit Bus Fee though cash or demand draft in favour of Meerut Institute of Engineering and Technology payable at Meerut, at the time of admission or registration. Students want to avail hostel facility may deposit Hostel Fee through cash or demand draft in favour of Sarojini Hostel payable at Meerut. Second year onward students can directly deposit hostel fee in Sarojini Hostel account via Account No.- 2159000100049131 and IFS Code –PUNB0215900. The student depositing fee directly in institute account, have to submit bank slip or other details to get hostel fee receipt. Enrollment procedure is as per University rules. Students have to fill hard copy and online form though institute Registrar office. Students have to regularly check institute notices for enrollment during their first semester. The enrollment form before submission to the University should be signed by the student in person. All students should have submitted their Transfer Certificate or Migration Certificate before University enrollment process, failing which may result in cancellation of enrollment and admission. Students have to fill hard copy and online University examination form in each semester through institute registrar office. 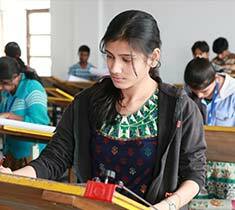 Students have to regularly check institute notices for examination form during all semester in the institute. The examination form before submission to the University should be signed by the student in person. Students are advised to fill their subject and subject code correctly in examination form. Admit Cards are received by the institute from the University three to four days prior to the commencement of examination. Students have to collect them from class Counselors/ Department/ Registrar Office. Students are advised to check the institute notices during the period for admit cards. As per University ordinance each semester is considered as a unit and a student is expected to attend 100% classes including practical and other academic activities. However, a minimum average attendance of 75% is required for appearing in the End Semester Examination with a provision of further condonation of 15% of the attendance by the Institute Director, on the basis of some reasonable cause only such as medical ground, participation in University/State/Central level sports, cultural activities, seminars, workshops, paper presentation, placement activity etc. The attendance criteria will be same for appearing in sessional tests and end semester examination. Students have to give leave application for the period he was not present in the institute before going on leave. No leave application will be considered after leave unless it was an emergency. Students have to submit their application to respective HOD after being recommended by Class Counselors. Application will be sanctioned by HOD. Relaxation of attendance beyond 75% will be sanctioned only by the Institute Director. Student who failed to attend institute due to medical reasons have to submit application on the day they are joining institute along with photocopy of medical prescription, test reports and original medical & fitness certificate. Attendance is counted on hourly basis for e.g. if a laboratory is of three hours, attendance count will be three. 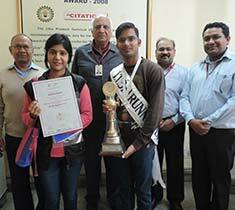 Institute receives mark sheets from the University on yearly basis. Mark sheets are distributed to students through Registrar/ HOD Office in lunch hours and between 4.30 PM to 5.30 PM. Final Year Mark sheets, Provisional Degree, Transfer Certificate and Character Certificate are issued by Registrar/ HOD Office during the institute timings. Migration Certificate is issued by the University. The students have to fill the migration form duly approved by institute. The students have to submit Rs. 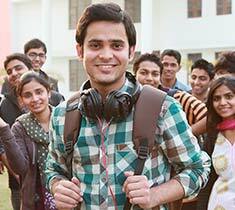 100/- towards the migration certificate charges along with the form in the University. Degree is issued by the University after the convocation and students may collect them as they are received to the institute. The students must fill the “No Dues Form” along with “Degree & Security Refund Form” available in library and submit the form in the registrar office. The degree will be issued only on the submission of no dues form. The student completing the degree with honors can receive his degree from the University at the time of convocation. If students want transcript for higher education, they have to apply directly to the University. Original copy of registered FIR at nearest police station. Affidavit in prescribed form with endorsed by a magistrate of first class notary. 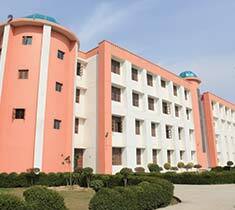 Office of Uttar Pradesh Technical University, payable at Lucknow. The passing out students can apply for refund of security money. The students must fill the “No Dues Form” along with Degree & Security Refund Form” available in library and submit the form in the registrar office. Girl students will only be allowed to leave the college campus after taking permission from their respective Department HOD. Student has to write an application and seek permission from her HOD. HOD may call up the student’s father for clarification or to gauge the necessity of the leave. Once the application is signed the same will be countersigned by the registrar office for the final approval. Once the new session starts, bank persons of Punjab National Bank, Sport Complex, Meerut, make visits to the Institute. The information regarding their visit is displayed on the notice board and also circulated in the class rooms of First Year. Students can open their account by fulfilling the required formalities and submitting the requisite papers. Students want to apply for scholarship of Samaj Kalyan or other agencies have to compulsory open the bank account in Meerut. If student marked absent in the result or having ambiguity in marks, student is required to write an application in favor of institute registrar with related attendance record sheet (to be collect from University examination centre by student himself) counter signed by the centre superintendent of the University examination centre and submit the same to the institute registrar. If student found incorrect details like name/father’s name or having any other ambiguity in the mark sheet, student is required to write an application in favor of institute registrar along with the attested copy of 10thpassing certificate. For any other problem related to the University result, students have to contact institute registrar. 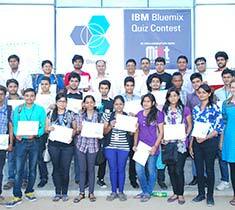 Eligibility Criteria — Parent's / Guardian's (including student's) income from all sources up to Rs. 2,00,000/- per year. Social Welfare Department provides scholarship for SC/ST and GEN Category. Other Backward Class Welfare Department provides scholarship for OBC Category. Minority Welfare Department provides scholarship for Minorities. Income certificate from tehsil with verification of website (bor.up.nic.in and edistrict.up.nic.in). Caste certificate from tehsil with verification of website (bor.up.nic.in and edistrict.up.nic.in). General category student also need to submit caste certificate. Domicile certificate from tehsil with verification of website (bor.up.nic.in and edistrict.up.nic.in). Academic qualification certificate from high school upto last passing class/course. After completing the admission procedure, fee will not be refunded except when the candidate withdraws his candidature before commencement of classes and admission process is going on. If the candidate withdraws his candidature after commencement of classes and institute is able fill the vacant seat by other candidate then fee can also be refunded. Once hostel is allotted, the hostel fee cannot be refunded in any case, only the mess advance and hostel security money will be refunded. Student appearing for some competitive examination and want to get his/ her documents to be attested by institute or Head of Institution have to deposit the certificates and documents in registrar office during lunch hour and can collect them on the same day after 3.30 pm. Institute provides 24 hours ambulance facility to the students. It can be avail only in emergency if a student is unable to move. For any normal ailment no ambulance facility from institute will be provided. During institute timing if any emergency arises on medical grounds, a gate pass for ambulance have to be filled by any fellow colleague of student/ staff/ faculty and sanctioned by HOD/ Registrar for nearest hospital located within 2 km range. For hostellers the gate pass for ambulance have to be sanctioned by the Warden, on same conditions as mentioned above. Students having problem related to Academics, Administration or personal are free to meet class counselor/ HOD/ Director/ Director General for help through written application or verbal communication. Institute has a drop box “Many Problems One Solution” outside the office of Director General; any student can drop a brief of his/ her problem, if he/ she wants to the problem in person then writing his/ her particulars are necessary. Lodging of complaint against ragging can be done on mobile (numbers available on notice boards and institute website), through drop box or written application to Proctorial Board/ Faculty/ HOD/ Director/ Director General. Lodging of complaint against sexual harassment, Eve-teasing or disrespectful behavior or any misbehavior with a girl student can be done on mobile (numbers available on notice boards and institute website), through drop box or written application to Proctorial Board/ Faculty/ HOD/ Director/ Director General. For Hostellers, any complaint against administration of hostels and mess related problems can be logged to the Chief Warden/ Director/ Director General. For any grievance, logde complaint at Grievance Redressal Portal of the institute. A student can lodge complaint in the office of any of the authority of MIET including DG/Director/Chief Proctor/HOD/Chief Warden etc. After receipt of a complaint it is scrutinized by the HOD and HOD is empowered to take necessary action against the accused as per “MIET Rules and Regulations for Students”, with at least three other members of the Proctorial board. If HODs and Chief Proctor ascertain that the offence pertains to the jurisdiction of Proctorial Enquiry then, subsequently, three members Proctorial Enquiry Committee is setup by Chief Proctor to conduct an in depth investigation into the matter. Proctorial enquiry is an internal enquiry of MIET and hence, no other person, except the Board members and faculty or staff, is allowed to be present during hearings. The accused or complainants is not allowed to be represented by a third party. The complainant is called for hearing and his statement is recorded. The accused person(s) is called for recording his/her statement. Witnesses mentioned by both parties are listed and they are called for recording their deposition. Any evidence, from security staff/ staff or other persons, who were present there and had witnessed the incident, are called and their statements recorded. A cross-examination of the accused and the complainant is conducted. If any material evidence, like audio/video tapes/paper documents etc. is available, the same is examined. The authenticity is established from the submitted documents. Finally a comprehensive report is prepared where specific charge against the accused is framed and a show cause notice is issued and accused will be suspended from classes till he submit his defense and punishment is decided. The defense given by the accused persons in the show cause notice is studied and examined. A report is prepared as per the “MIET Students’ Discipline and conduct Rules”, appropriate disciplinary action is recommended. Final report and recommendations is submitted to Director General/ Director for approval & final decisions. Rooms in Boy’s Hostels are two seated, three seated and two seated-attached bathrooms (to house 12 students). Rooms in Girl’s Hostels are two seated, three seated and two four seated. 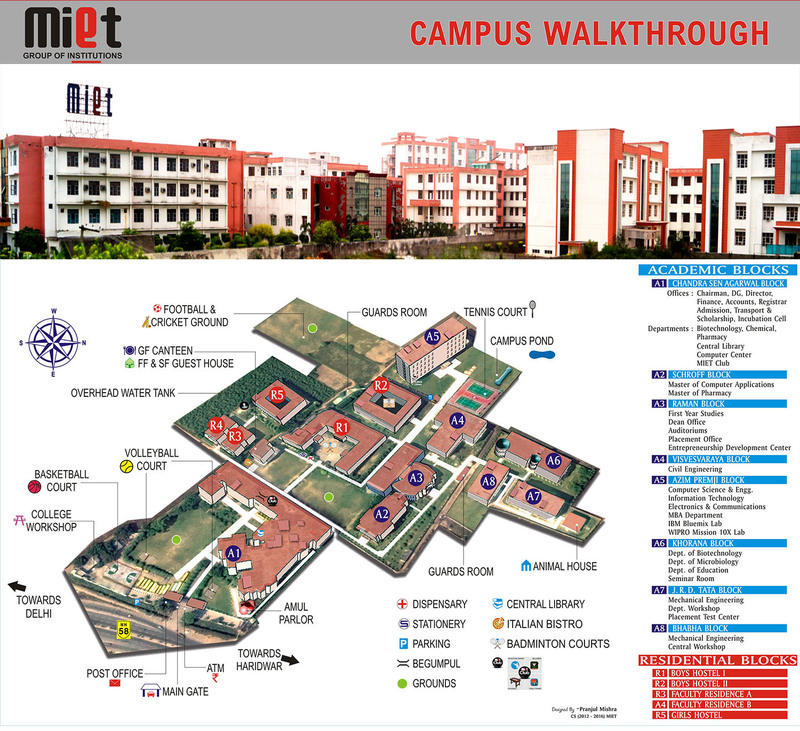 Institute will finalize the availability of respective room categories at the time of allotment. Hostel allotment is done on the basis of “First Come First Serve”, provided students shall meet the eligibility criteria and complete the formalities. For B. Tech. First Year students rooms are fixed by the authorities. To avail the facility of hostel, students are required to fill the hostel application form (available in Registrar Office and warden’s office). Students have to submit hostel application form along with the photo copy of fee receipt to the hostel warden. Full fee has to be submitted and no part payment is allowed. Two photographs will be required at the time of filling the hostel form. One will be pasted on the hostel form and other on the form of Hostel I card. Students must disclose about their medical fitness in the hostel form. Students are advised to see the hostel facilities beforehand and satisfy themselves before submitting the fee as the fee once paid shall not be refundable. For existing hostellers, a notice is displayed in the month of March before Holi vacations regarding hostel allotment, fee details and the date of commencement of allotment. Hostel residents are required to follow the rules and regulations prescribed for them. The copy of the rules and regulation are mentioned in the form, as well as displayed on the notice board of the Hostels. Failure to observe discipline or violation of any rule may make a student liable to disciplinary action or even may lead to eviction. Hostellers residing in boy’s hostel have to submit an application for going out of station dully recommended by class counselor and allowed by their respective HOD in the office of hostel warden. For going to city for some personal work during institute timings hostellers have to submit the application at the institute gate permitted by the same authorities as mentioned above. All hostellers have to report in the hostel before 9.30 pm. The hostellers residing in Girls Hostel have to take a gate pass for going outside the institute campus. They have to write an application with a convincing reason and duration for which they will be out of campus. The application should be dully recommended by class counselor and allowed by their respective HOD and submit it in the office of hostel warden for Gate Pass. At the time of leaving, hostellers have to enter their particulars in the hostel-leaving register at security gate of girl’s hostel and further the Gate Pass is to be submitted at the Institute main gate and entry is done again in the campus-leaving register. When they return back from their outdoor task/ trip, they close their entry at the main gate as well as at the hostel gate in the presence of security person. Students are strictly prohibited from returning after 6:00PM. The register and the application are checked often for checking the frequency, duration and the purpose of leaving campus and the students and parents are intimidated about the observation. Mess operates on cooperative basis and managed by the students Mess Committee on NO profit -No loss concept. The institute has a established rules for running of mess in hostels. Mess committee decides the menu in consultation with resident warden and mess supervisor. Mess bill, which vary according to the mess menu, is calculated monthly and dependent upon the expenses that incur in that particular month. A total hostel fee has two components: Hostel fee and Mess Fee. At the end of the year, mess bills of the different months are summed and adjusted against the mess advance submitted with the hostel fee. If there is any deficit then that will be charged from the students and if there is any surplus then that is returned to the students. A register is available at the hostel gate or with the mess/hostel supervisors and students can enter their maintenance related complaints. They can also register their problem directly to the mess/hostel supervisor. 1. Student seeking to avail hostel facility has to note that hostel accommodation will only be allotted to studious students who believe leading a spartan life and remain disciplined. Every student before room allotment in hostel shall give an undertaking with respect to the acceptance of rules and regulations, along with duly filled General Information form and Immunization Record. 2. Rooms are allotted on the basis of the criteria & procedure laid down by the authorities and the Sole Discretion of chief warden from time to time. No change in room will be permitted during the session. Please see SOP- Hostel S01: Availing Hostel Facility. 3. Hostellers must always keep their Hostel Identity Card in their possession. 4. Students are advised to be properly dressed during breakfast, lunch and dinner. All bonafide students of the Institute are eligible to become members of the library. Applications for membership have to be submitted in prescribed format available on Photostat Counter in TBL section. Digital library cards will be issued to the members. The students have to submit a Photostat copy of fee receipt with the application form. Library users entering have to enter their details in the library entry register and show the identity card. Personal belongings such as books, bags, mobile phones and printed matter, other than library books must not be brought inside the library. These can be deposited in the Property Counter. Student should check the condition of the book and get checked at the issue counter. Student will be held responsible if book is received in damage condition and he/she has to replace it by a new copy. Digital library card and property token not to be misplaced or lost. All losses should be reported to the librarian. Library digital card are non-transferable. All books or any other reading material should be retuned on or before due date, otherwise fine will be charged. An overdue charge of Rs. 5 per day per book is levied on general section books and TBL books. To facilitate students a property counter is arranged outside of the library where students can put their belongings and a property token is issued against it. Students should give special care not to misplace library card and property tokens. In case they misplaced the above mentioned they have to report the librarian immediately. Duplicate library card are issued with a penalty of Rs. 100/- and if Property token is lost Rs. 20/- will be charge as fine.